Technology should make your life easier. Sure, you can play games on your smartphone and check your social media. Do those activities give you more time? If you’re looking for ways to have more time through smart technology, check out these home robots that interact with you or your home to help you. It’s hard to believe that Roomba came on the market 15 years ago. Today’s robot vacuum has so many more capabilities than the first, making this robot assistant one that every home needs. 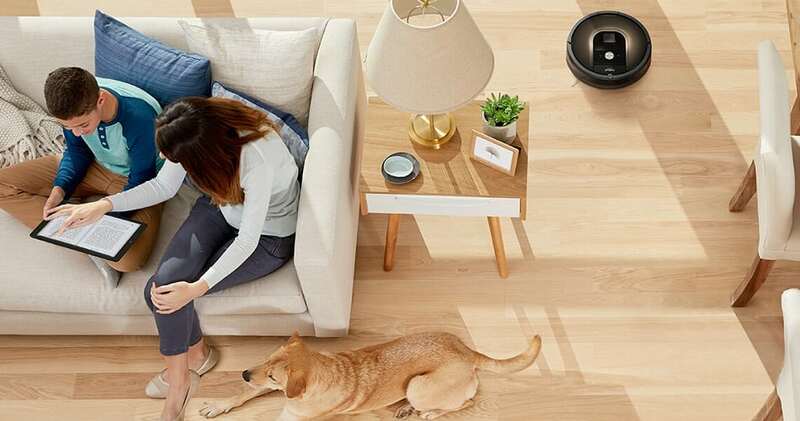 The Roomba cleans your floors, identifies dirty spots and remembers them, and it can plug itself into a charging station until the battery is full before resuming cleaning. If you hate vacuuming or just want continuous cleaning on your floors, it’s a great buy. Don’t pay a landscaping fee to keep your grass trimmed. 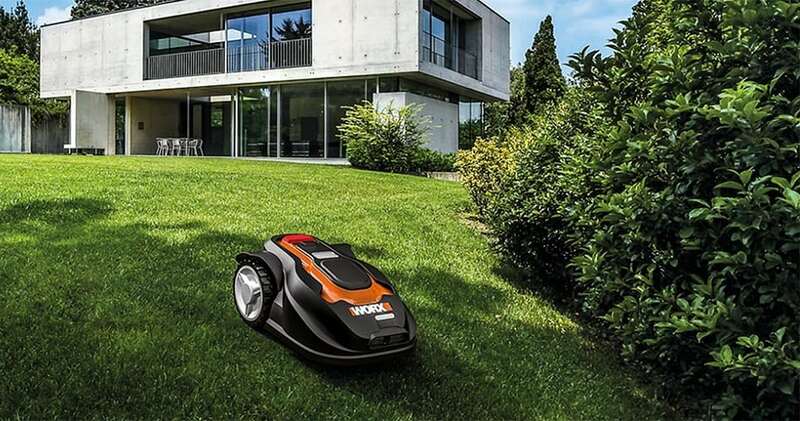 Worx Landroid is a robotic lawnmower that trims your lawn each day, instead of tackling the job once a week. The Landroid is quieter than a traditional lawnmower, and like the Roomba, it can return itself to the charging station when it’s low on power or when it’s raining. Although this small robot won’t look buff and provide conversation while it’s cleaning the pool, it does get the job done. It can perform vacuuming and scrubbing, without having to switch out the elements. 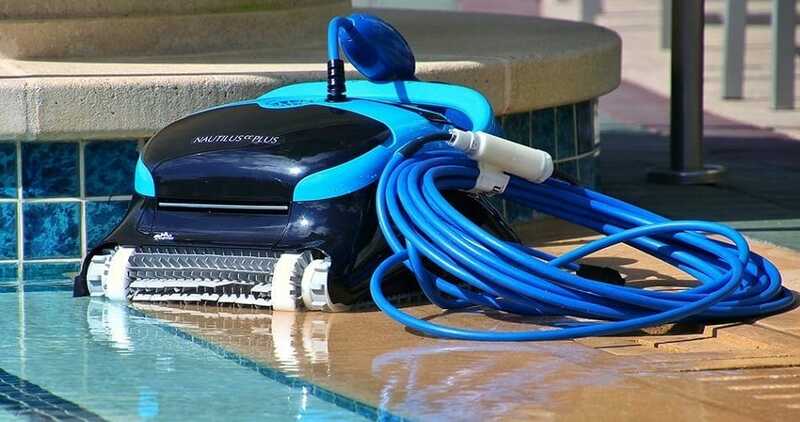 This robot has GPS to make sure the entire pool gets cleaned. 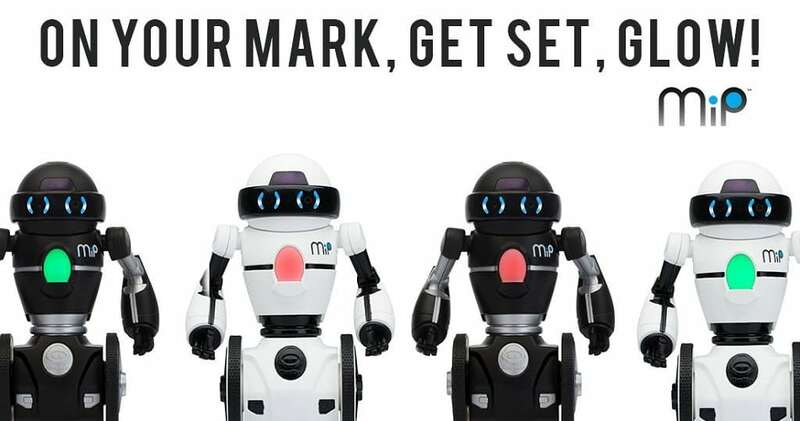 MiP bills itself as a toy robot assistant, but it has a lot of capabilities. It can interact with the smart devices in your home, learn hand commands and carry its own weight to get you a soda from the fridge. It’s obedient and fun, with a personality of its own. You can even enhance its personality to make it an entertaining and enjoyable robot. 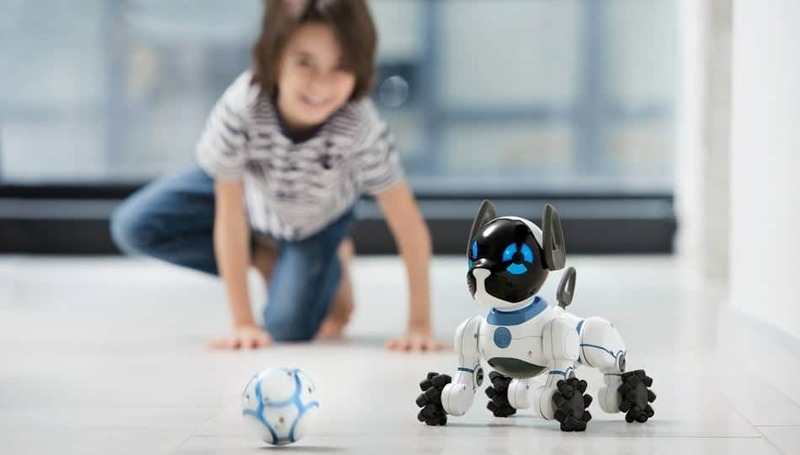 This robot dog can be taught tricks, play fetch and sit. CHiP will show affection and be your best canine friend without having to deal with walks in the cold or picking up bags of dog waste. While it won’t have the same personality as a slobbery, barking dog, if you can’t have a canine buddy, it’s a great replacement. And there is no need to lug bags of food home to feed this four-legged friend. Riley is your personal security guard. 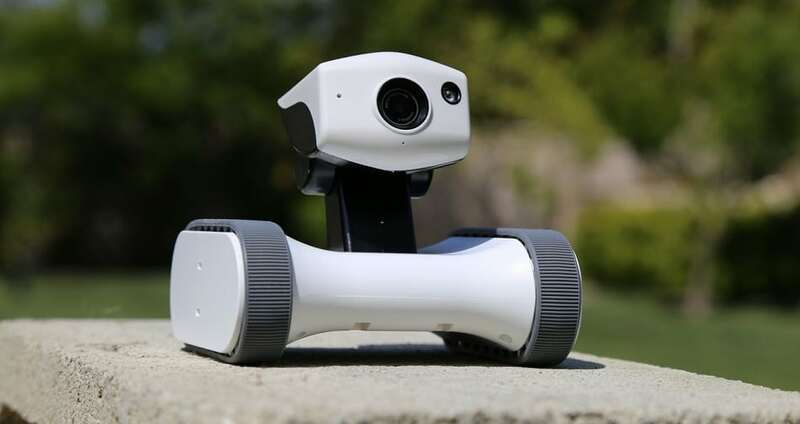 This robot connects to wi-fi and travels throughout your home looking for suspicious activity. Instead of getting barked at, you get an alert through your phone. With its built-in mic, you can listen to what’s going on at home through your smartphone or even talk to whoever’s at home. 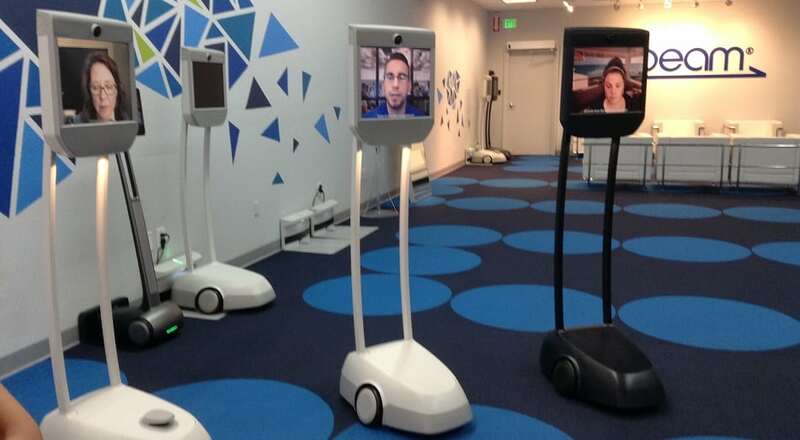 This robot assistant resembles one from “The Big Bang Theory,” where Sheldon decided it was unsafe to leave his room. The Beam System moves around on its own, with a video screen attached to the body of the robot. It can move from station to station, to let a boss check in with the employees or allow friends to hang out without being in the same place. It’s kind of like Skype on wheels.